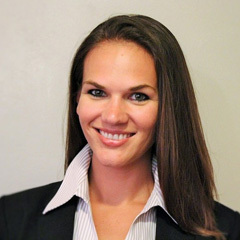 Ms. Kelley is an associate with Shoecraft Burton, LLP and has been with the firm since 2013. Ms. Kelley’s primary focus in on defending insurance companies in first party bad faith litigation and defending brokers against claims of professional negligence. Ms. Kelley has an invaluable understanding of all-things-technology and has helped the firm’s clients save hundreds of thousands of dollars in responding to discovery demands in this new age of Electronically Stored Information (“ESI”). Her inherent curiosity and investigative skills have also aided the firm’s clients in their investigation in to potentially fraudulent insurance claims, resulting in favorable and early resolution for her clients. With Shoecraft Burton, LLP, Ms. Kelley has helped the firm’s clients successfully defeat a putative class action involving claims of unfair competition relating to her client’s handling of lead and asbestos claims; has obtained summary judgment in favor of an insurer on breach of contract and insurance bad faith claims involving appraisal; and has successfully defended bad faith claims on both the genuine dispute doctrine on Advice of Counsel. Ms. Kelley has also prepared and presented training presentations on both the California Fair Claims Practices Regulations and SIU Regulations for the firm’s various clients. A Chicago native, Ms. Kelley spends her free time people watching on the beach and enjoying the beautiful San Diego weather. Prior to working with Shoecraft Burton, Rachael devoted the majority of her time assisting victims of domestic violence with various legal matters. To that end, she has volunteered with the San Diego County YWCA, the Legal Aid Society of San Diego, and the San Diego Volunteer Lawyers Program.